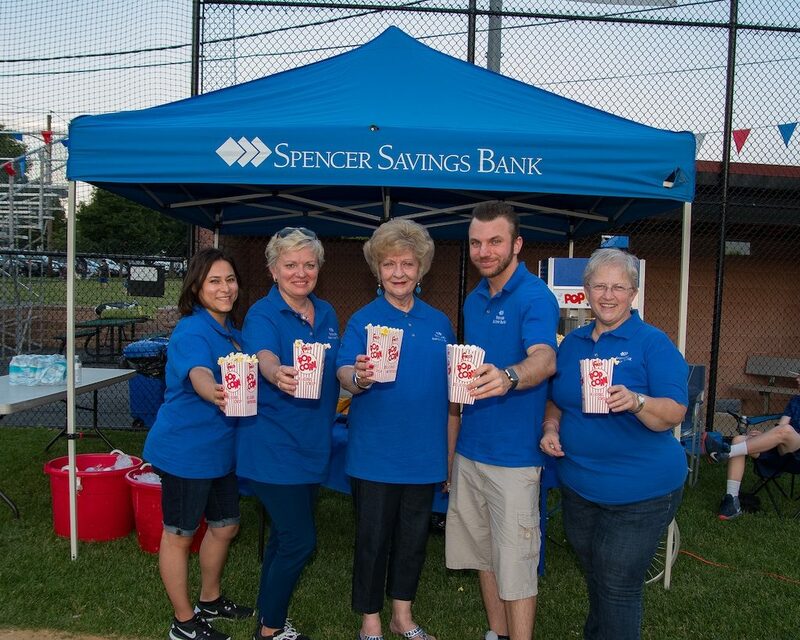 Elmwood Park, N.J. (June 29, 2016) – Spencer Savings Bank’s 2016 “Movies Under the Stars” series continued in Wallington, N.J. and Garfield, N.J., where a combined 850+ local residents and visitors enjoyed refreshments, raffles and an outdoor movie screening under the New Jersey night sky. The June 11 event in Wallington, presented by Spencer, the Wallington Lions Club and the Wallington Little League, attracted more than 350 people to the Wallington Little League Field for a special viewing of the 2015 film, Alvin and the Chipmunks: The Road Chip. In Garfield, a turnout of more than 500 gathered at Belmont Oval Park on June 17 to watch another family comedy hit from 2015, Minions, presented by Spencer and the Garfield YMCA. Free bounce houses and face painting kept children entertained right up to showtime. Spencer branch team members were on hand at both events serving up freshly popped popcorn and snacks. Several lucky attendees also won door prizes provided by the bank and partners. Combining two of the best parts of summer–great weather and going to the movies–Spencer’s “Movies Under the Stars” attract thousands of viewers across Northern N.J. each year. In 2015, roughly 2,000 total people attended the seasonal series in Wallington, Garfield, Wood-Ridge, Garwood and Elmwood Park.